The importance of the cell theory in biology has been likened to the atomic theory in chemistry and physics. Just as the atom is the basic unit of matter, the cell is the basic unit of life. Both are the most fundamental principles central to their respective sciences. The groundwork for formulation of the cell theory dates back to 1665, when Robert Hooke discovered the cell in a slice of cork. A decade later, Antonie van Leeuwenhoek viewed living single-cell organisms under a microscope using his handmade lenses capable of magnifying some 275 times. Over 160 years passed before the two German friends, Schleiden and Schwann, were enjoying after-dinner coffee and sharing notes regarding their cell research. In 1838, the botanist Matthias Schleiden proposed that every structural component of plants is composed of cells, and the following year, Theodor Schwann, a zoologist, reached a similar conclusion for animals. Their original cell theory consisted of three fundamental precepts: all living organisms are composed of cells; the cell is the basic unit of the structure and function in all living organisms; and all cells arise from other pre-existing cells, added in 1855 by Rudolf Virchow. While the first three precepts remain, the following refine and expand the theory: Cells contain hereditary information (DNA), which is transmitted from cell to cell during division. The chemical composition of all cells in a given species is basically the same; and energy flow (metabolismand biochemistry) occurs within cells. Unlike Schleiden, Schwann and Virchow continued advancing the frontiers of science and medicine. Schwann discovered the sheath surrounding nerve fibers (Schwann cells), isolated pepsin, a stomach enzyme that breaks down proteins; and coined the term metabolism for chemical changes in living tissues. Virchow was a leader in modern pathology. He promoted the use of the microscope and standardizing autopsy procedures, and he also founded the field of social medicine, which seeks to understand how social and economic factors influence health and disease. SEE ALSO: Metabolism (1614), Leeuwenhoek’s Microscopic World (1674), Refuting Spontaneous Generation (1668), Meiosis (1876), Enzymes (1878), Mitochondria and Cellular Respiration (1925), DNA as Carrier of Genetic Information (1944). 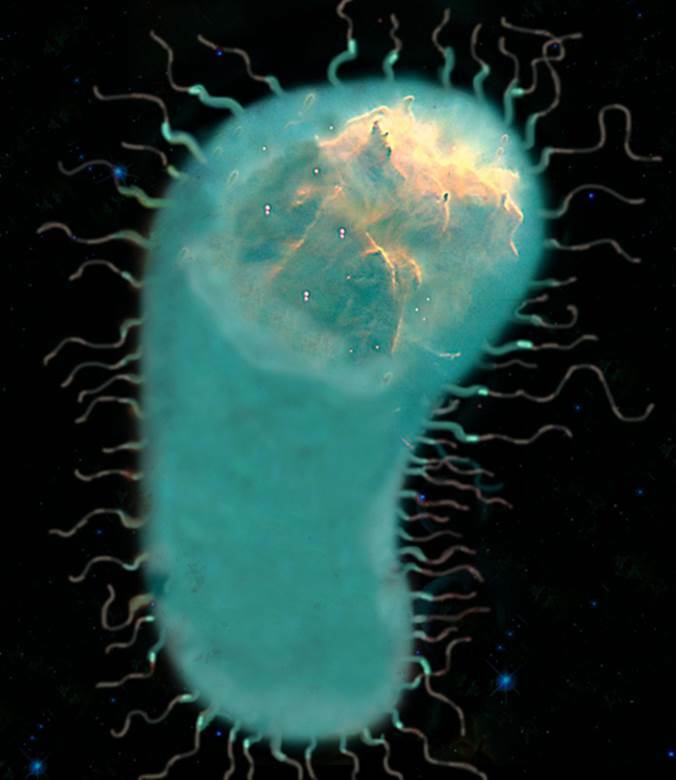 The ability to inspect single-celled organisms under a microscope—such as the Gram-positive bacterium Bacillus shown in this illustration—allowed scientists to uncover the structure of the cell, the fundamental unit of life.